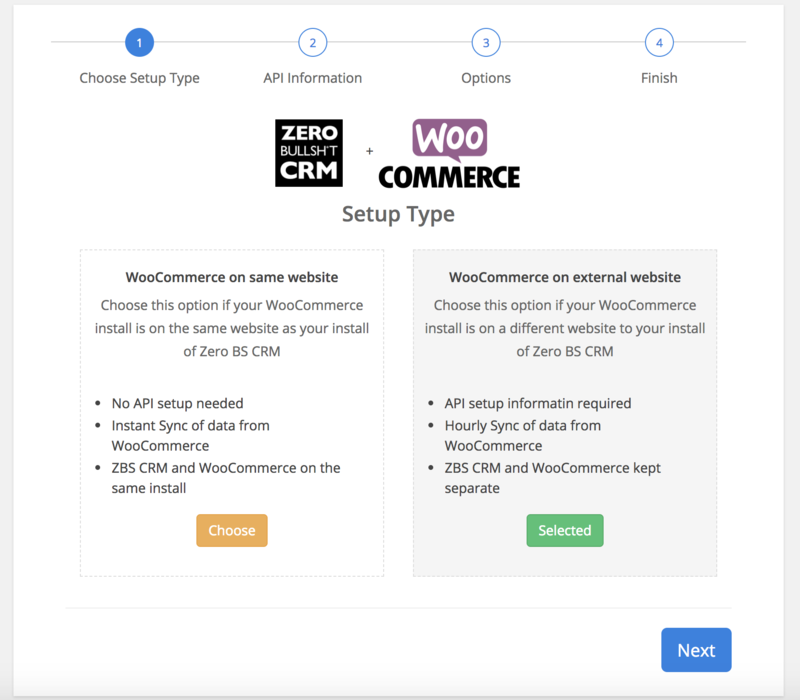 Zero BS CRM integrates with WooCommerce and lets you import your customers and transactions into your CRM. When using Zero BS CRM and WooCommerce on the same install your WooCommerce orders and customers are added into your CRM immediately. 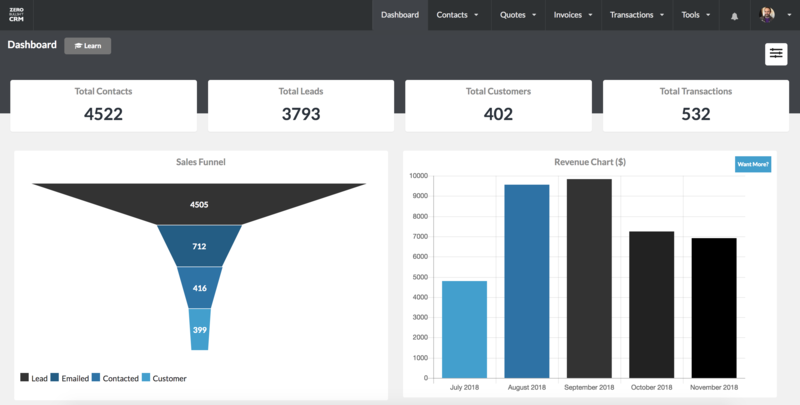 You can then use the power of ZBS CRM on your Woo Customers. Get better insights about your customers habits and if your cross selling is working. 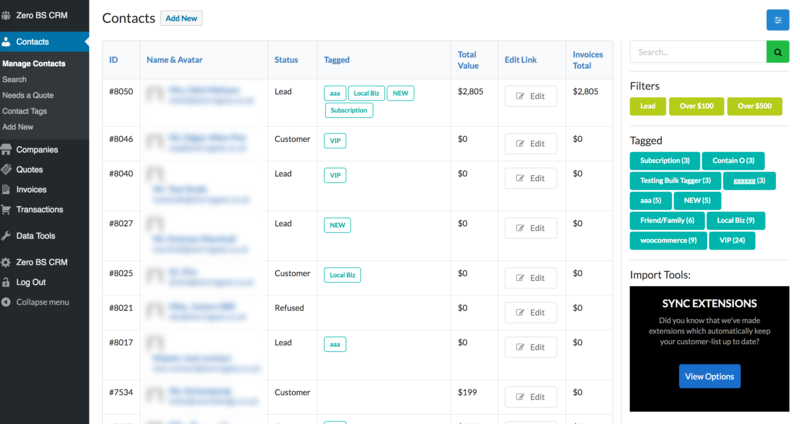 See what customer has purchased what, and see their total value directly in your CRM. Be up and running in a matter of minutes with the simple Welcome Wizard. Keep up to date with what customers have purchased. Tag them with the order and let this trigger industry leading Mail Campaigns from your CRM install. Send email sequences based on what products are ordered. Get access to all the extensions and start selling more to your existing WooCommerce customers and your current leads.